South Florida is a wonderful place to live with its beaches, sunshine, and warm temperatures. If you’re lucky enough to be a South Florida resident, we’re sure you would want the landscape of your house to be as bright and beautiful as the place you live in. Gardening in South Florida’s peculiar climate can be tricky, however. So pay attention to the following gardening tips—courtesy of us at Zito Landscape Design—to ensure that your thumb will be greener than ever! As we’re sure you already know, South Florida is hot. Really hot. In fact, the heat and humidity of the climate is probably the most important factor to consider when gardening. It affects the type of plants you choose, when you plant them, and how often you water them. It’s imperative to choose plants that will be able to withstand South Florida’s high temperatures. Northern plant varieties or plants that need the cold to thrive, such as tulips, will have a difficult time surviving the scorching summers. Plants that are used to more temperate climates, however, can be grown during the cooler fall and winter seasons. 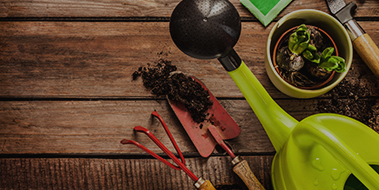 Once you’ve decided on your flowers, trees, or vegetables, and have planted them according to the appropriate season, it’s time to take care of them! Make sure to water your plants early in the day when evaporation rates are the lowest. But it’s important to not overwater your plants either, which can make your plants more susceptible to pests and disease. Something you may not have thought to consider is South Florida’s plant hardiness zone. Florida’s soil is made up of mostly sand with some peat and limestone aggregates, and becomes sandier and less fertile the further south you go. The soil, combined with the heat and humidity, makes South Florida a difficult location to successfully cultivate a garden. That’s why knowing South Florida’s zone can be helpful when deciding what plants to choose. Florida stretches through many climates and zones, and South Florida falls in Zone 11. Knowing this will be beneficial, as many plant guides contain zone numbers next to particular plants. So, what should you plant? In general, citrus and other tropical plant varieties tend to do well in South Florida’s climate. Other Zone 11-friendly plants are pineapple guava, yellow African bulbine, Japanese holly fern, purple lovegrass, and firebush. At Zito Landscape Design, we understand that successfully maintaining a garden or landscape in South Florida can be a daunting task—even after learning about the aforementioned planting tips. That’s why you can count on us to design and create a beautiful landscape that’s perfect for your home. We’ll take care of everything, so that all you have to do is sit back and enjoy your lush garden surroundings. Contact us for a consultation or to request a quote today! Depending on your landscape needs, you might want to vary the height of your hedge or privacy screen to make it more visually interesting. That means choosing trees and shrubs of different heights. When you’re looking into shrubs and trees, you’ll also need to consider how much sun and shade they get, as different plants have different needs. Ways to grow a green privacy barrier to screen out neighbors. Sign up for latest offers and tips on South Flroida Landscaping. We only email it's really good!